Don't worry! This delicious Diesel 'Gum' is sugar free promotes healthy teeth and gums. 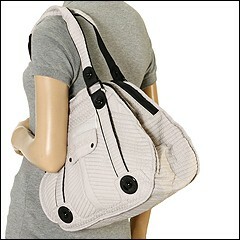 Satchel style shoulder bag made of fabric. Holds your wallet, sunglasses, personal technology and a bottle of water. Dimensions: 11 wide x 7 deep x 11 1/2 high. 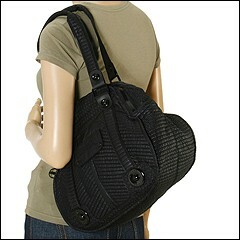 ; Dual shoulder straps. Shoulder drop: 8 1/2 length. Front exterior flap pocket. Platform bottom. 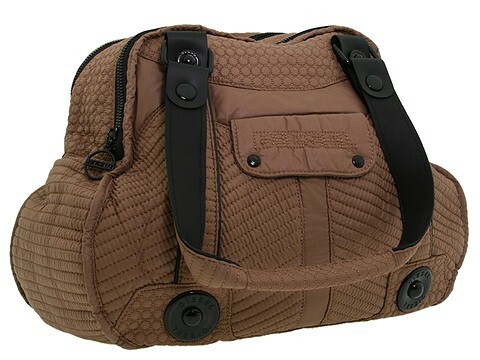 Dual top zip closure. Interior lining with a back wall zip pocket and multifunctional slip pockets.